It is a dark rainy night on a small street up on the hill in Point Richmond. A middle-aged businessman ascends the stairs to his bedroom. He suddenly feels weak and he experiences a squeezing pain in the chest and left upper arm that radiates to both arms, the back, shoulders, neck, and jaw. His breath comes in short gasps. He feebly grabs the phone and dials 911. Finally, he collapses on the floor. The 911 operator hears his gasping on the phone and immediately dispatches the paramedics from the fire station at the Point to the address on her screen. The paramedics dash out of the fire station and tear east on Richmond Avenue. 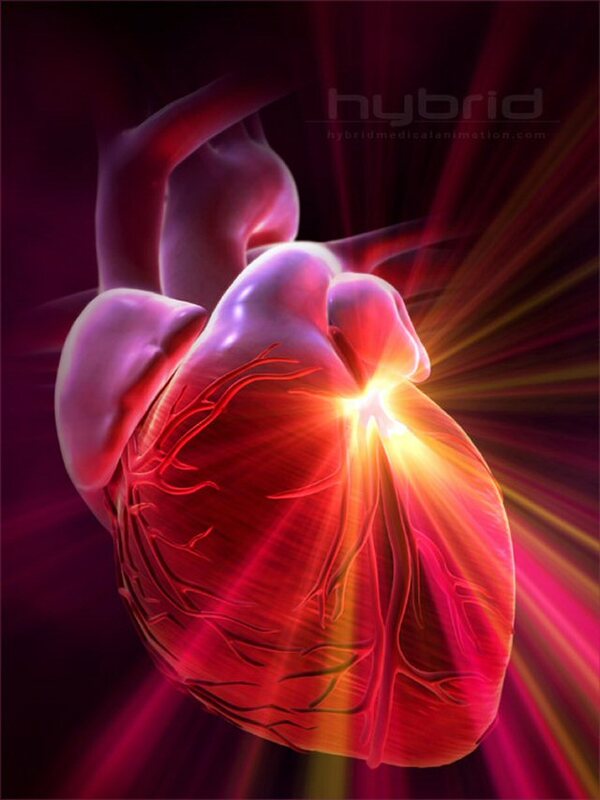 Every minute counts in a cardiac emergency so they sound their siren and activate their emergency strobe lights. 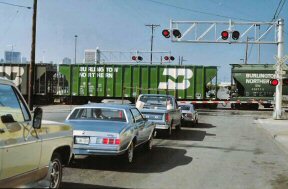 They are immediately halted at the railway crossing by the passing of a mile-long freight train moving back and forth to link their cars. The frustrated firemen leap out of their truck to flag down the engineer, however, the locomotive is already in the tunnel and cannot be easily reached. Rather than wait the average ten-minute or so during the blocking of Richmond Avenue, they immediately turn their vehicle around to enter the eastbound 580 at Tewksbury. Eight minutes have already elapsed since the first call was received. Screaming down the 580, they exit at the Garrard/Cutting exit and turn unto Cutting, which is on the other side of the crossing, only to meet one of the many train car carriers that traverse the rail lines across Cutting Blvd. They again exit their vehicle to flag down the engineer. Finally, after much jumping up and down, the engineer sees them. It takes about 1,000 feet to stop the massive behemoth, which must now back up to clear the intersection and travel another few hundred feet before the gates will rise. Ten minutes have now elapsed since the emergency was first called in. Finally clear of the crossing, the ambulance, lights flashing and siren screaming, roars up the hill to ultimately locate the address of the called-in crisis. The ambulance at last pulls to a stop in front of the dying man’s home. They rush out to the door, emergency equipment in hand. The door is locked so they must force their way in. They find the dying man on the second floor in his bedroom still clutching the telephone. Thirteen minutes have passed since the call first came in. They immediately assemble their gear and begin the rescue operation. The man takes one shallow breath and dies in their arms. 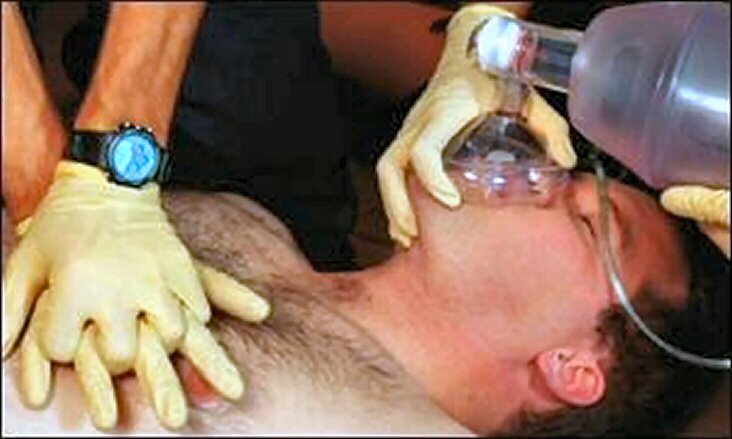 They attempt every resuscitation technique possible within their ability and finally give up after thirty minutes of frantic aid. The man has hopelessly expired. Naturally, the neighborhood will be in an uproar over the needless loss of a human life because BNSF uses the streets to do their switching rather than in their yards where it normally should take place. Once upon a time, the Richmond crossing carried freight trains to the ferry at the other side of the tunnel that found its way to San Francisco. That ferry no longer exists, however, BNSF still uses the tracks for their switching operations, totally oblivious to the cost and inconvenience of blocking Richmond Avenue, until of course someone dies. What can we as citizens do to prevent such a tragedy? Considering the response of the Railroads, it would mean doing virtually nothing. Their concern is their bottom line and not that of the citizens of the communities they invade. This is further evidenced by their pretense of public safety they espouse by blowing their horns day and night, 24 hours a day and 7 days a week. On the other hand, the safety of the general public is overlooked by virtue of their continuous blocking of the rail crossing, thus subjecting the residents not only to possible cardiac death, but also to great property and physical injury losses by fire and other catastrophes. We are told that the rail traffic will increase substantially in the near future. The traffic has already increased about ten times from where it was a few short years ago. Obviously, the situation will get a whole lot worse before it gets better. There are only two solutions possible to end the danger poised to produce possible injury and/or death. Either we get rid of the railroads or we build over and under passes to accommodate the rail traffic. Since the cost of such grade crossings is likely beyond anything feasible given Richmond’s poor economic condition, it would seem likely that the only logical alternative would be to get rid of the railroads. These crossings can be made to close by virtue of the police power of the city to protect its citizens utilizing the concept of eminent domain. It would still be costly, yet what else is possible here? The matter is presently being addressed by H.O.R.N. (Households Opposed To Railroad Noise). Perhaps you would like to lend your support. H.O.R.N. welcomes any and all to join them in their fight for freedom from noise pollution and ending the potential danger looming by obstructing public streets. If you want to get on board or just want some more information, email Fred H. Arm at fha@bigfoot.com or Dr. Louis Hagler at Louishagler@aol.com.